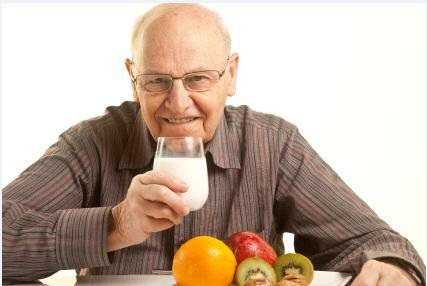 If you have an elderly loved one, you may notice that they seem to eat less and less as they age. Not only may they be picking at their food during lunch or dinner, they might even be skipping meals altogether. A decrease in appetite is common as we grow older, but there are times when this unhealthy habit can lead to extreme malnutrition. Why do older ones lose their appetite? And what can family members and caregivers do to help? The first key to helping seniors avoid becoming sick or weak as a result of poor nutrition is to properly monitor their food intake. If family members cannot personally be there, it’s important to arrange for in-home care – specifically with an agency that offers real-time transparency through a homecare system or homecare software. One or more of the above reasons, combined with normal aging weight loss, can lead to malnutrition. Caregivers who look after seniors in their homes should carefully watch out for signs that the senior is not eating enough, and note their concerns in a homecare system or home care software. Such concerns can be communicated to other care team members using ClearCare Online’s homecare software, as well as to family members and physicians. All relevant individuals can log into ClearCare Online’s secure, web-based homecare system and see real-time updates regarding the patient’s daily care. Involving the senior in meal prep may encourage them to eat more of their meal, especially if their tastes and preferences are being taken into consideration. Caregivers can make a note in their homecare software of which meals the senior particularly likes. Ensuring older ones eat a proper diet will allow them to maintain their independence and live at home longer. Helping seniors stay safe and healthy as they age is also the primary objective of ClearCare Online’s homecare system. If you have questions about what other benefits ClearCare Online has to offer, give us a call today!